May not match if model year is different, even if car types and engine types are the same. Make sure to always confirm the authentic product number. As it is a manufacturer's thing, it could be used safely without sound. This review is about item#35046322. I use it to change the belt of a car It is enough for use. This review is about item#35046286. There is no problem. The price is also cheap and safe. Because it is a consumable item. This review is about item#35046295. Even today, it is used for the belt of the alternator, and it purchased as a spare this time. This review is about item#35046347. This review is about item#35046277. Because it is a maker item, it was able to use with confidence. It is cheap and saved. I will also order. This review is about item#35046304. I bought it cheaply, but I use it without any problem. When I removed what I had stayed on until now, it is from the same manufacturer, relieved. 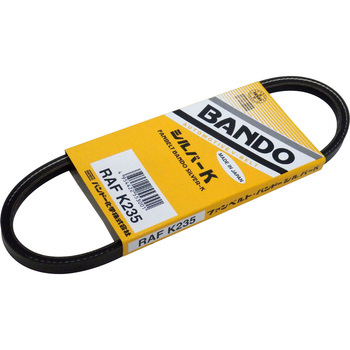 Because it is made of Bando, it was able to use with confidence. I will also purchase it. This review is about item#35046313.